The leading paper for digital colour laser printing with exceptional colour brilliance. 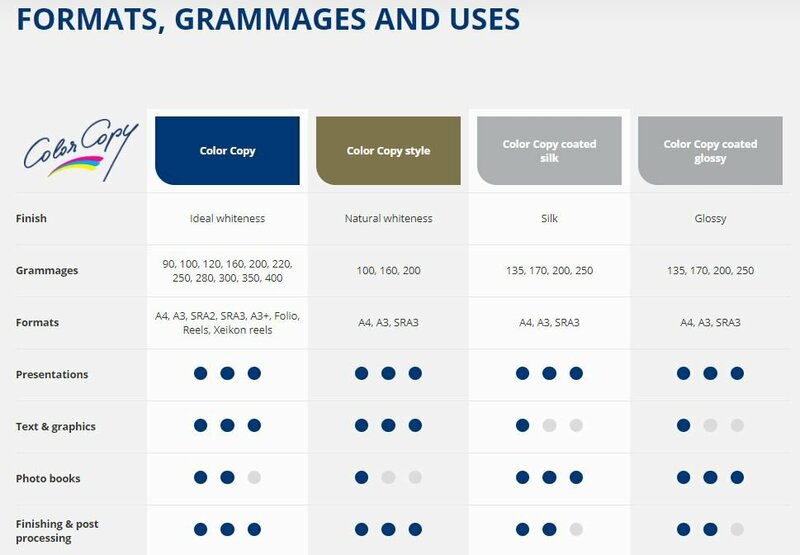 Color Copy is approved by all leading machine manufacturers to run on all dry toner, colour laser printers. 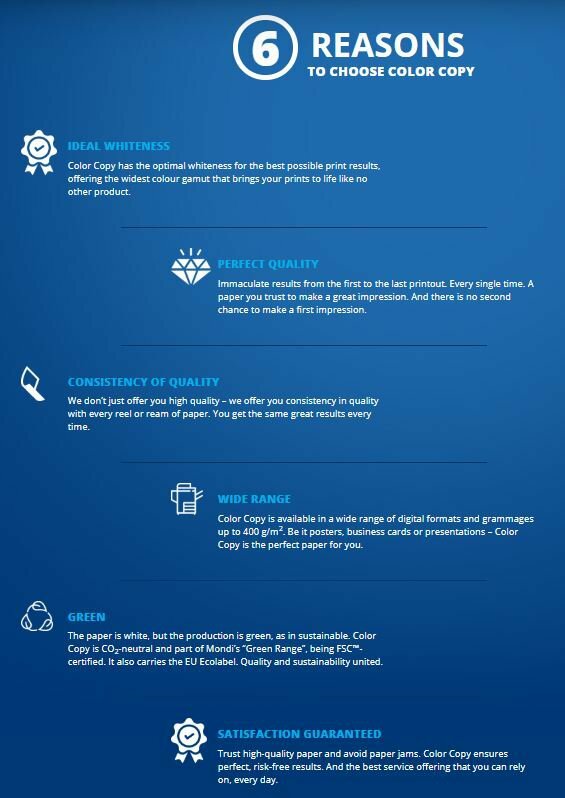 Color Copy is the leading digital printing paper, offering unbeatable quality from A4 to the whole range of digital printing formats. Especially in full-colour printing, Color Copy ensures razor-sharp printing and vibrant colour rendering for striking results and does a great job. Just like you. With our full range of professional printing and office papers, we underline the brilliant colours and sharp contrast of the visuals and messages that are important for you. Mondi is a global leader in packaging and paper, delighting our customers and consumers with innovative and sustainable packaging and paper solutions. We are fully integrated across the packaging and paper value chain - from managing forests and producing pulp, paper and plastic films, to developing and manufacturing effective industrial and consumer packaging solutions. It's important that our processes and products are sustainable. By taking a holistic view we can develop solutions that consider the needs of each customer, their products and the planet.